We were first skeptical about a game that resembles much of an adaptation of Fruit Ninja and Rock Band. However, we found ourselves diving deep into the beat of slashing and grooving, while avoiding obstacles! 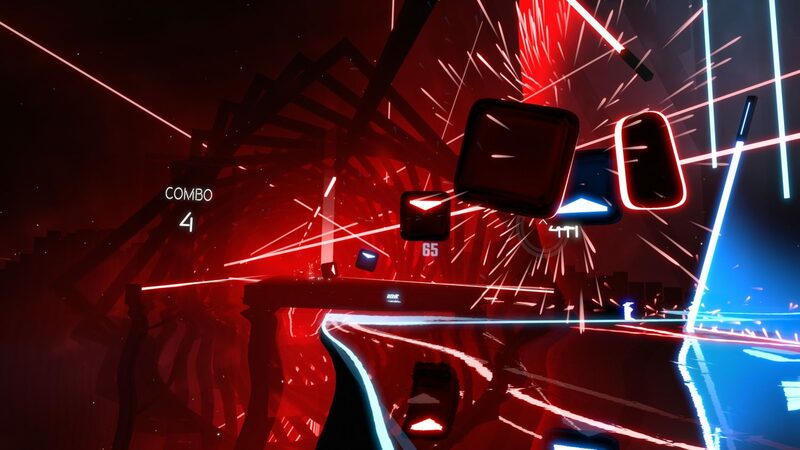 Beat Saber is a VR rhythm game where your goal is to slash the beats which perfectly fit into precisely handcrafted music, the music is super rhythmic and we are here to share our experience with you! 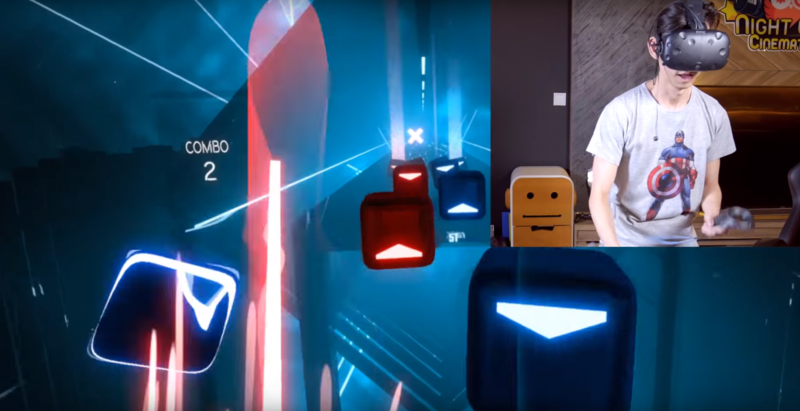 Beat Saber is all about keeping rhythm. In each hand, you hold a lightsaber, one blue and one red. When the music starts, small blocks with a colored arrow on each begin scrolling toward you — much like other rhythm games — and it’s up to you to slash the blocks in the direction noted by the arrow. There are obstacles that come your way as well, which you must avoid with your body and sabers. Timing is everything here, and slashing successfully will up your combo multiplier and ultimately your final score. It seems relatively easy to start, but, as evidenced in some gameplay videos making the rounds, things can get crazy in a hurry. 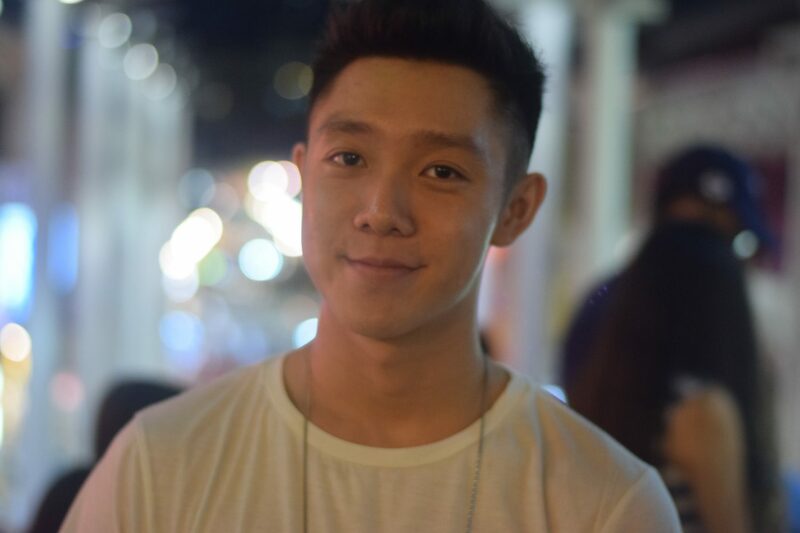 Each song should have multiple levels of difficulty to make it easier for beginners to jump in and for experts to enjoy a challenge. With only 10 songs, you can blow through that track list, beating most all of them on at least Hard, in a single afternoon. Mastering them on Expert takes time, but it gets repetitive. The only game modes are an arcade-style Solo and a pass-the-headset-style Party Mode. We’d love to see a campaign (which is mentioned on the Steam page) as well as more robust multiplayer features. 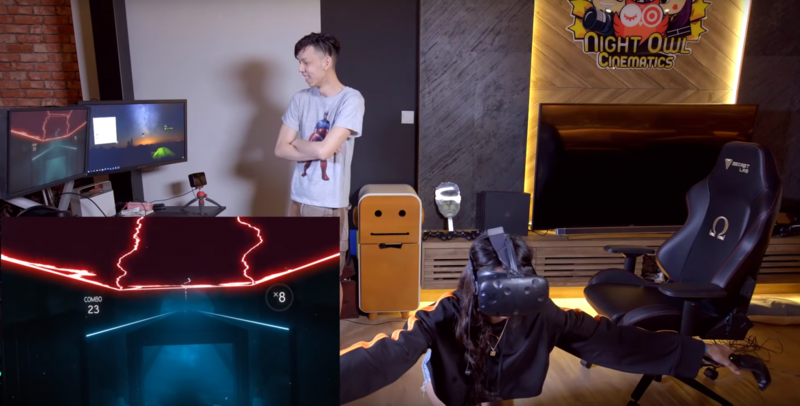 In its current state, we absolutely recommend Beat Saber wholeheartedly. Beat saber was undoubtedly enjoyable and definitely lived up to it’s hype! It was the highest rated game on Steam after 3 days of it’s release, not just the highest rated VR game, but also the highest rated game out of all titles, flat screen games included. In the end we found ourselves challenging one another to see who can beat each other high score, totally worth the effort to play! We would also love to see how this game goes down the road as more songs will be added!